One of the biggest challenges faced when developing a mobile App is actually the part after you’ve created it. 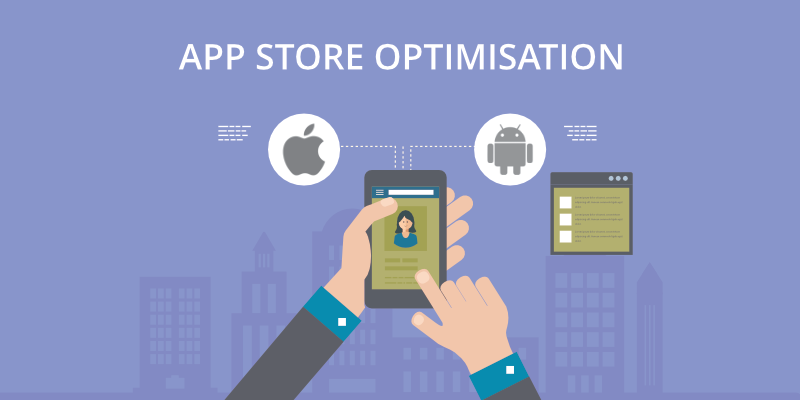 The Launch and Promotion Strategy is absolutely essential to ensuring your App is a success. So if you’re looking for ways to successfully launch and promote your newly built App or want to discover new strategies to help increase downloads for your existing App, this App promotion guide will introduce you to 35 essential strategies that can be used to successfully launch, promote and increase downloads for your iPhone or Android App. Some of the strategies in this guide will need to be done at the same time or in a certain order, so rather than approach this resource as a step-by-step guide, use it as a checklist of strategies that you can implement at different stages of your launch. If your App Name is already being used and isn’t unique, it will be harder for people to find you and could even lead to someone downloading the wrong App instead. Before you commit to your App Store Title, spend some time researching what already exists so you’re not competing against unlikely competitors. Your App Store Title is limited to no longer than 50 characters, however, Apple recommends that you keep your App Name to around 23 characters or less for best results on every device, as long names will be truncated so users may not see all the characters. This is the name displayed under your App Icon after it has been downloaded onto the user’s device. Be aware that there is a 12 character limit to what you decide to name this section so if you have a long App Name, you’ll need to be creative in how you use this space. You may be tempted to add unnecessary keywords to your description to improve your ASO but DON’T! 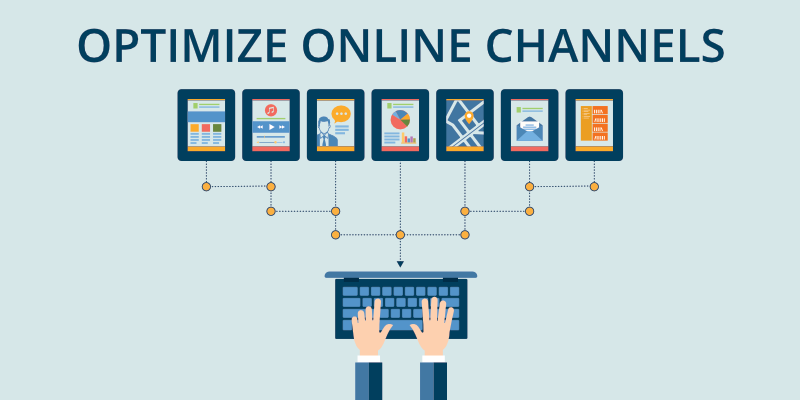 Doing this could negatively affect your user’s experience so avoid trying to impress search engines and instead focus on writing content for real people. After all, this is your chance to tell potential users about how awesome your App is and convince them to download it. The first few sentences really need to grab your audience’s attention so make sure to highlight all the awesome benefits, incentives, features and functionalities of your app. Secondary information such as awards or accolades should be added at the end of the description as they don’t really tell the reader why they should download your App. An important part of ASO is making sure that your App is listed in the right category. Though this isn’t as relevant as your keywords, app icon and screenshots, it’s definitely something not to be brushed over. Apple App Store, for example, offers 25 different main category types with an optional ‘Other Category’ if you feel your App could benefit from further categorization. 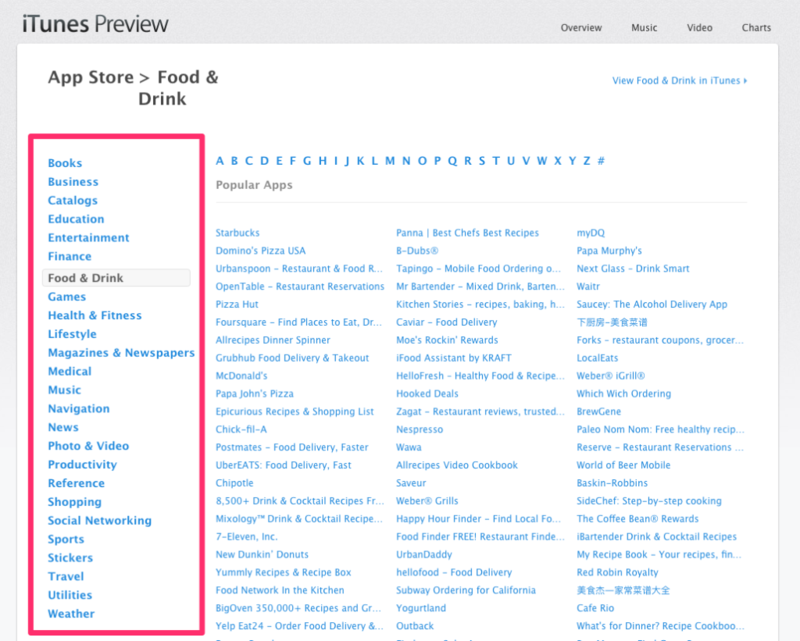 For example, if you have an App for your Restaurant, you may want your Main Category to be ‘Food & Drink’ with your ‘Other Category’ as ‘Business’. Your ‘Main Category’ should always be the one that best defines the purpose of your App. If you’re unsure of which Category to list your App under, try searching for similar Apps to see where your competitors are listed. This will give you a good understanding of what you should and shouldn’t be doing. Celebrity Names and other protected names, words or phrases (Don’t try sneaking in “Kim Kardashian” in your keywords to try and increase your search results). You know the saying ‘never judge a book by its cover’? Well, sadly this doesn’t apply to your app and its app icon. We live in a shallow world and your users are absolutely judging the quality of your app by its icon. Sorry. It’s worthwhile investing a little time and money when designing your app icon. It’s one of the first things a user will see when searching for apps to download so it’s absolutely essential that you give a positive first impression. I recommend working with a graphic designer to create a beautiful icon that clearly shows the user that your App is a high-quality product. The best app icons are usually very simple with a clear logo that’s easily recognizable. Look at some of the top app icons on your own phone and compare them against your own. Does your icon scream quality? Does it reflect your brand? Can you easily spot it on your phone when it’s hidden among the other apps on your phone? To help users get a better understanding and feel for your app, the App Stores allow you to upload screenshots of your App. You can either simply upload screenshots taken straight from your App or for best results you can create great looking graphics that enhance the user experience. Take screenshots of the most exciting screens of your App that best display its use and features. 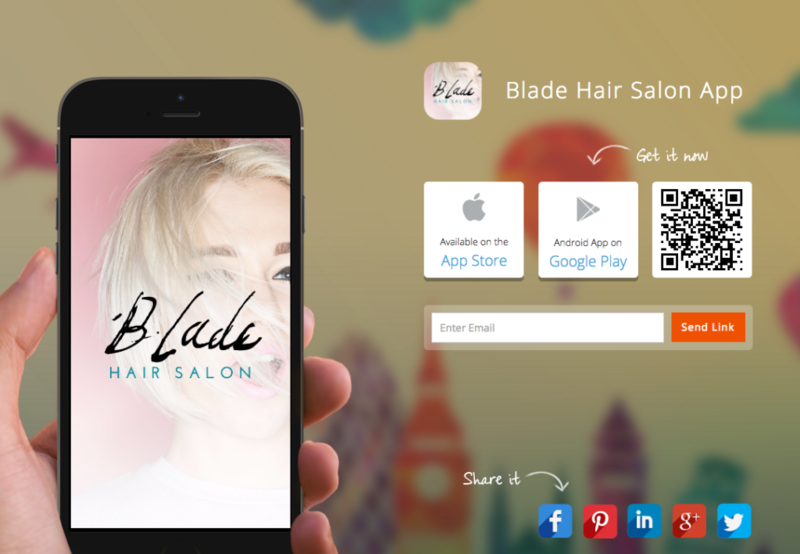 You can create beautiful App Marketing Screenshots like the one above using our FREE App Screenshot Tool. 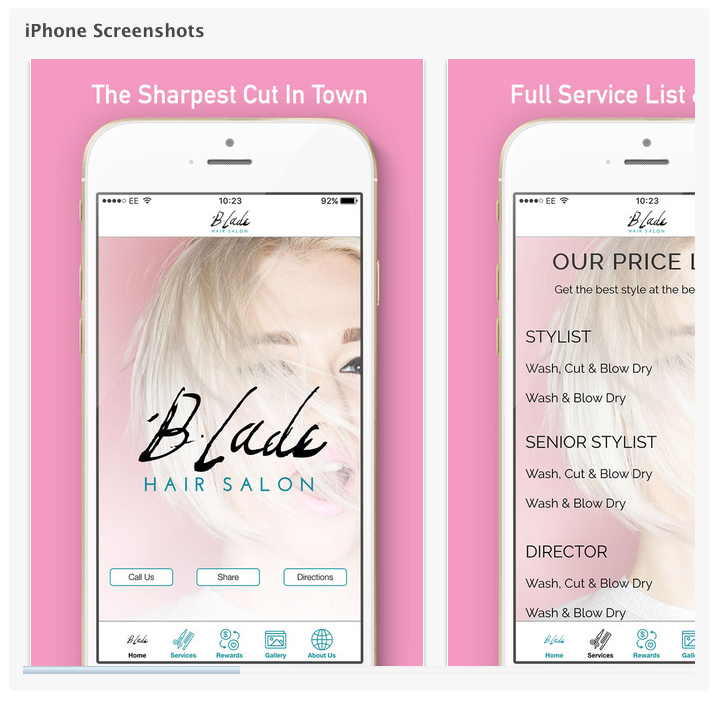 Check out no.7 to find out how to create beautiful App Marketing Screenshots for free! For many small businesses who want to use their app to boost sales by encouraging customer loyalty or simply improving the buyer journey, you’d expect the app to be available for free. For those who intend to make money from ads inside the app, again it makes sense to provide a freemium model (potentially with the ability to upgrade to an ad-free version for a small fee.) The idea behind this is to get as many downloads as possible. Best for Business Apps and Social Apps. Other options include providing a limited features version of an app for free and then encouraging users to upgrade to the full version for a one-off fee. If you’ve created a recipe booklet app, you could offer a free version of your app that has only a handful of recipes – if users enjoy what you offer, they can then upgrade to the full version by paying a one time fee. Best for Interactive Tools and Products like Fitness Apps, Utility Apps, Games, Travel etc. It’s human nature to want to price your app so you’ll earn good money with your downloads but ensure you do your research to learn what your competitor’s apps are available for. There’s no sense in asking for a download price of $4.99 for example if all your competitors are priced at $2.99 – your greed will price you out, and users will automatically be drawn towards the cheaper price. Remember that users are more inclined to download Free apps, unless they’re sure they’re willing to part with their hard earned cash. Best for high-end Games, Books, Utility Apps, Photo & Video Editors etc. With a few simple changes, several apps can be marketed on an international level, extensively expanding your reach. Changing trends in diverse markets can affect your app’s reputation. If you observe that your app category is trending in South American regions, for instance then it is wise to produce a Spanish-language version of your app to attain maximum exposure. When you have a product that solves a definite need, you’ve also got something that can be promoted by using PR. Nearly every app that resolves a problem has a story behind them, so what’s yours? If you’re stuck for a story then take a glance at this article covered by Techcrunch about the non-launch of an app. The story is loosely based around a new app due to be launched and the lack of information around what it actually does. In this case, the story is simply about creating suspense and intrigue. The key is in providing a story with an engaging human aspect instead of just asking journalists to write about another crappy version of Flappy Bird. 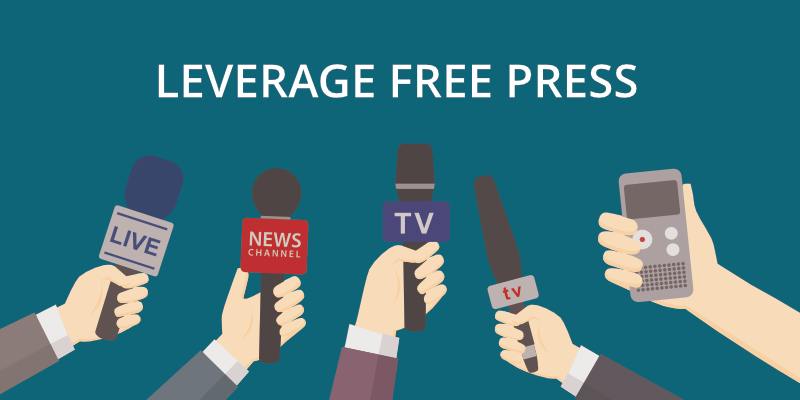 So, reaching out to the press can be a great way to achieve exposure even before you’ve launched your app (heck, even before you’ve finished building it!). One thing to take note of is although it’s in every company’s dream to get covered by a big publication that has a huge readership of your target audience – as getting that kind of exposure can quickly trigger an enormous download boost. However, it’s important to be aware of the fact that getting featured by these big publications is no easy feat, so ensure you’re covering your bases by approaching publications big and small. Your press kit should contain all the information needed for journalists to create a story around you without them having to ask for simple things, like a headshot of the CEO, or a company logo. It should also contain your Press Release which should talk about the problems that your app promises to solve along with the solution it presents. But don’t give away everything. Thoroughly research the people you are emailing & learn a bit more about them. This helps at the time of sending an email when you’re asking them to write about your app. Mention something about the things they love or do for a living in your email. This helps to create a personalized connection. It shows that you have put in some work and haven’t sent the same email to hundreds of people. One thing that journalists love, is getting an exclusive insight into a story. Entice journalists by offering them an exclusive on the release of your new app. Everybody loves a good story behind an invention, and apps are no exception. Have you developed a game? What’s the background story? When pitching your story to the press avoid technical jargon, and instead think about the emotive story behind why you decided to create an app. Human interest stories are much more interesting than a business hoping to make more money. How is your app going to help people or change the way they do something? Was there a struggle that you overcame to get to where you are now? Once you’ve created your story you can use it to start pitching it to the press. The more emotive your story is, the more likely you are to get covered. It is best to give the journalists at least 2-3 weeks notice before your planned launch date. They should be given enough time to prepare and potentially organize an interview with you. It is important to spread the buzz about your app before it is about to get launched. Close to your App launch, connect with bloggers and journalists who have an interest in writing about things related to your app and ask if they would be interested in giving feedback or reviewing it. As well as targeting the bigger publication, don’t underestimate the power of your local press through print, tv or radio. Your local press can often provide a stepping stone to getting picked up by bigger fish and is also easier to come by. You can even sponsor TV and radio programs and highlight the important features of your app in relevant shows. Search for media companies and press in your local area and try contacting the business or technology and request to send them a Press Kit about your App Launch. Local newspapers and magazines can also provide you with affordable ad space so do some research on who your local publications are. Is there a local Sports and Fitness magazine who could talk about your new Fitness & Health app? Or a Fashion Magazine who would be interested in writing a story about your new Retail App? When contacting Publications, try to get in touch with the newspaper’s most relevant editor to your story and include a catchy headline explaining your app’s worth. If you don’t hear back in a day or two, don’t be afraid to send a friendly reminder and ask them if they got your email. You can do the same for Radio Stations and Regional Press too. If they fail to cover your product at first, reach out once more after your launch with download statistics and customer testimonials. Join online forums and groups that are likely to be interested in your product. If you’ve built an Image Editor App, join a community of digital photographers. If you’ve created a new music editor tool, then join a community of musicians. If you’ve created a Pregnancy Tips App then join a community of Pregnant women (albeit at your own risk). Remember, though, before you start plugging away and promoting your own product, be sure to introduce yourself to the community gently. Much like introducing yourself to a new group of people at a party, you can’t just burst in and start talking about yourself – you need to ease yourself in, laugh at someone’s joke, praise someone’s outfit. Once you’ve been welcomed in, you can then start to talk about your own product and ask people what they think. You know how now everyone knows of Spotify, well it wasn’t too long ago that the company was just starting out in the U.S. and was only accessible by invitation. It did this to create a sense of exclusivity and also to create buzz. If you’re old enough you might even remember getting your first Spotify invitation. By capitalizing on word-of-mouth promotion, Spotify was able to stand out in a landscape that companies like Rhapsody had been occupying for years. Creating a community of early adopters is essential for word of mouth referrals, so although it may feel time-consuming, it’s definitely an effort worth investing in. With any new app, promoting it across all of your online channels is the first pit stop and ensures that your app is a new addition to your overall brand experience. Synchronization of blog posts, banners and PR gives maximum exposure to your app. These also bring in attention prior to launching the app and ensures there is a consistent message across your important online channels. The first place you should start off with is your website. You can do this by creating a banner on your homepage that links to your App’s own landing page with download links. Your App should have a prominent place on your homepage and with emotive CTAs (Call-To-Actions) and incentives to attract your regular customers to download it. Including your App on your website’s homepage emphasizes its value and makes it clear that it is an imperative element of your business which they absolutely need to download. You don’t need much for your promotional landing page. The main purpose should be to redirect your customers or potential users to the App Stores so users can download it easily so include links to each App Store. You could also include a QR code so desktop users can quickly download by scanning instead of having to type in a long address or search for it. For more in-depth promotional pages you could also describe all the benefits and features of the app in detail and well as drive across the main incentive for downloading your App with clear CTAs. Adding banners from your main site that link to you App’s promo page ensure a steady stream of downloads. With mobile searches overtaking desktop last year, it’s more important than ever that your website it optimized for mobile. One clever trick you can use to increase downloads is to take advantage of this by promoting visits to your website via mobile to download your App. You can do this with a mobile smart app banner which is said to increase app downloads by 33%. These banners encourage the user to download your App without being intrusive or negatively impacting their user experience… remember those annoying full-screen pop-ups? Update your social media channels with banners that promote your new app. Include links to your App’s promo site in your bio. Some social media sites like Facebook also allow you to create CTAs that you can use to encourage people to download your app. Go through each of your social channels and ask yourself:is it clear that you have an App from first glance? Is it clear that you have an App from first glance? Is the purpose of the app obvious? Is there a link to download it from? Send an email to your existing customers when pre and post launch. When sending your email pre-launch try to create hype or excitement about downloading your app. Make it clear that by downloading the app, you’ll be benefiting them in some way. You can also include a little messaging in your signature to remind them about the app and with a clear CTA to download it if they haven’t already. Email marketing works best when you’re contacting people who want to hear from you. In this day and age, inboxes are inundated with spam emails and people are sending and receiving over 215 emails every day – make sure your email doesn’t hit the spam folder by ensuring your email list have opted in to receive emails from you. You can build your email list by adding a sign-up form on your website or by running competitions – with awesome free tools like Mail Chimp for sending emails and SumoMe for collecting email addresses, it’s easier than ever to run successful email campaigns to launch and promote your App. If you have a brick and mortar store, then this section is a must! You can quickly increase downloads by promoting your App in your store to your customers and passing traffic. By putting up posters/signs where they can clearly see it, lets you promote your app effortlessly. When you place promotional flyers and posters about your App, or even just a label for the Google Play Store or App Store in your store, you’re telling your best customers about it. When it comes to direct marketing, there’s nothing like getting your message across to your target audience – so use your store to shout about your App. Wired Cafe Bar did this by creating awesome business cards that are left on every table. You can also add QR codes on your business cards, that way everyone that gets a business card will have a direct link to download your app. Make sure that your customers are well aware of your App features and why they need it on their smartphones. According to the report from Salesforce, mobile loyalty campaigns are the most popular and most effective type of mobile campaign as loyal customers make up 23% of total revenue, and profitability as compared to the normal customer. You can also attempt what experts label as the ‘the viral reality check’ or ‘bar test’: do this by showing your best customers your new app and ask them to download it. Are they willing to download it? Are they eager to spend more than 30 seconds playing around with it? 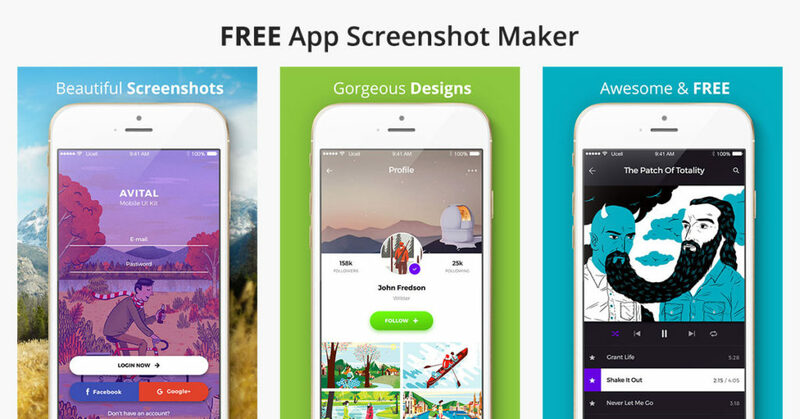 An app with an original design has an extensively better probability of making it big. Early adopters of your App are more likely to become your brand ambassadors. Referrals and word-of-mouth recommendations have worked as tested methods to boost your business. People are prone to trust reviews and believe recommendations from other human beings. This has proved to be one of the most effective App promotion strategies. Get your brand ambassadors talking by providing them with a memorable App experience and attractive incentives for doing so. It’s totally up to you whether you give them a paired item or a discount off a particular service or product. It’s a perfect way to appeal to new customers as well as rewarding your faithful customers for helping you with your app promotion process. There are several ways of utilizing Give Aways and Competitions to increase downloads. Often instead of spending money on Ads and promotions you can encourage viral sharing by offering a prize for sharing a post, signing up to a newsletter or liking a page. Create a post about your new app and ask people to share it, like your page on Facebook and download your app for a chance to win a prize that’s relevant to your business, this helps to boost awareness for your app. 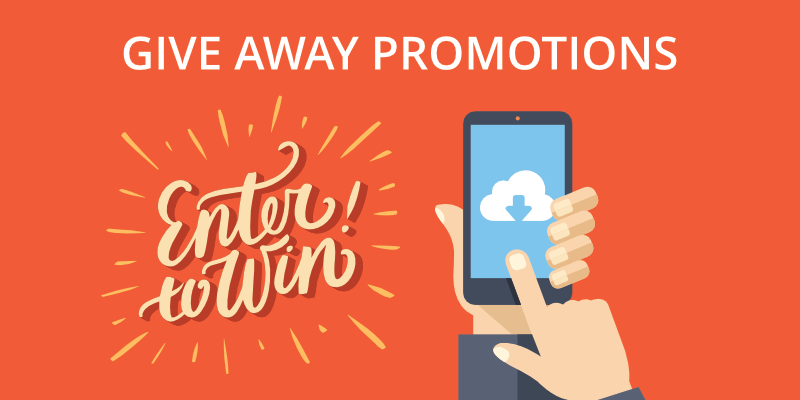 To help boost engagement include an engaging photo of your new app and the prize, or a video. Ask your acquaintances and family to share your App or your posts/updates to get the ball rolling. In case of a business app, make polite requests to your customers and ask them to share your news and updates about your app – most will be happy to do it. This will increase your App’s reach and it is probable that you will get more downloads as such referrals come within the network. These recommendations and referrals are based on real people and real-time experiences. Be courteous and encourage people to share your App and to reward them offer a small incentive for doing so. Simply asking people to download your App because it is ‘out of this world’ is not a good enough reason for users to try out your app. It doesn’t mean that you have to get technical or elaborate about your app features in detail. However, explaining the benefits of what your app offers will ignite interest. People are motivated when they get incentives for a download. Will your app improve the shopping experience of your customers? Is it a game that is highly addictive or competitive? For customers who find it difficult to make it to your brick-and-mortar store will surely download your app for quick shopping while lying on their couches. With just a few taps they can look for an item, shop through your app as well as pay online. You can incentivise your customers by giving them rewards and discounts for shopping through your app. By including a mobile stamp card for your customers for earning rewards on products they purchase from you, or services they book, your customers know they are getting something in reward. Offer in-App coupons that can be redeemed in store for getting discounts and rewards from your business. Whether you have a public service business or a restaurant, coupons are always appreciated by mobile users. 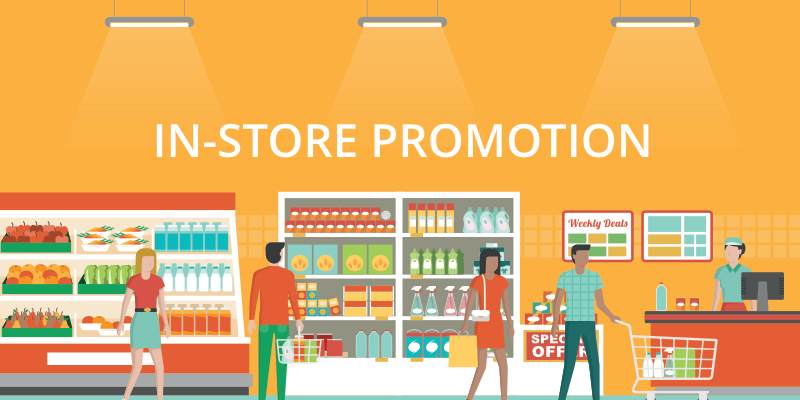 Keep adding new coupons when old ones expire for maintaining the enthusiasm of your users. This will compel them to keep coming back for more. Research from Koupon found that consumers spend more money, buy more items and happily adopt new technologies when they’re offered a mobile coupon. With mobile engagement becoming more important to retailers, it comes as no surprise that coupons are becoming the top priority for mobile apps. Customers spend more money when they’re offered a mobile coupon! Evidently, online promotion is nothing without social media. Advertising and promoting your App now and then on social media is great. However, this is just short-lived. For yielding the maximum results, there is a consistent need to produce and create a steady social promotion policy. When you push your app out to your followers consistently, it becomes a core characteristic of your business. 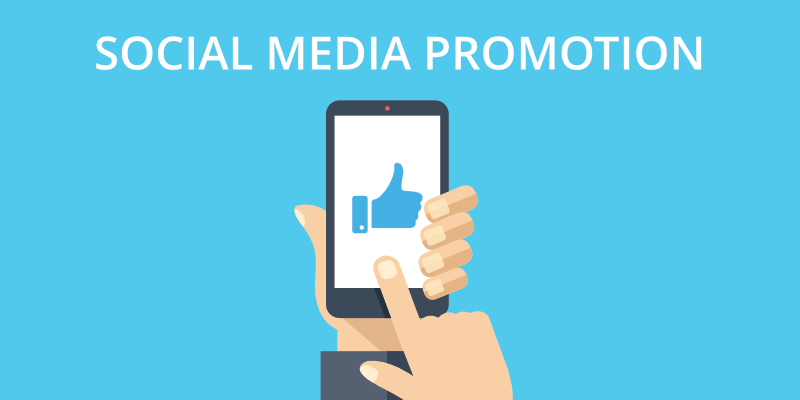 Some other important ideas for online promotion through social media could be to integrate your App into your overall page branding like your Twitter Header Image or your Facebook Cover Photo. Include an image of your app to highlight the features of your business so potential downloaders are instantly aware of your app’s availability via your social profiles. Be creative with the types of content you use to promote your app and trying using a mixture of video, images, promotional offers or testimonials and always remember to include a link to the download page. Varying your content will help keep customers interested, engaged and increase your downloads. Moreover, social word of mouth is one of the best ways to boom your customer base. Invest some time in social sharing so users can flaunt what they have just accomplished. Whether it’s leveling up in a game, logging distance or making purchases through an app. For all those who can afford it and have the finances for it, then Facebook App Install Ads can work wonders for acquiring thousands of downloads. Through Paid Installs you can customize each ad and target specific groups of customers and users. Facebook Ads give you the opportunity to adjust your budget, so could be a great way to get the ball rolling and test CTA’s, app descriptions and headlines . Though Facebook ads can soon become very expensive, it’s a great short-term solution to boost downloads and expand your brand awareness – especially when mixed with organic campaigns. As with Facebook, Twitter is another great platform for boosting your outreach by paying for sponsored App Installs. It’s great because you can target your ideal user base by fields such as their interests, country and who they already follow. Also, since most Twitter users are active on mobile, they’re already on the right platform to download your App with one click. Just be aware that users are often very cautious of sponsored posts, so make sure you spend time building your targetted audience so your app is relevant. If you’ve just created a Justin Bieber fan app, for example, you don’t want to promote it to a bunch of 50-year-old Metallica fans. With over 1 billion users, Facebook has managed to cover a diverse range of market and industries. You can quickly start to get extensive coverage by joining several Facebook groups belonging to the niche that is relevant to your app. These groups if chosen correctly are jam-packed with people who are potential users and can also participate in thought provoking discussions highlighting the benefits of using your App and why they should download it. Do you know that around 1 billion videos are watched on Facebook every day? As users are only able to glimpse at a few screenshots of your App on the App stores, it makes it pretty difficult to truly decipher what the app features really do. Undoubtedly, videos are the best way to visually communicate how great your App is. It should be noted that the video doesn’t require to be excessively fancy (although there’s no harm in being a bit imaginative!) You don’t need to invest in a lot of time or money. With some good content, simply record yourself using the App and talk through the functionalities and characteristics explaining why it’s worth a download. Along with Facebook, make it available on YouTube, Vimeo or anywhere it gets promoted! It is better to use a variety of video channels for your video to spread it to the masses. Check out this simple, low-budget promotional video for a ‘Flappy Bird’ style game called ‘Tiny Wings’ which has had nearly half a million views! Not bad for something probably created for under $20. Using video to enhance your competitions is a sure fire way to increase engagement and your downloads! Instilling a sense of belonging to a community invites a steady flow of feedback from customers to the perspective developers. 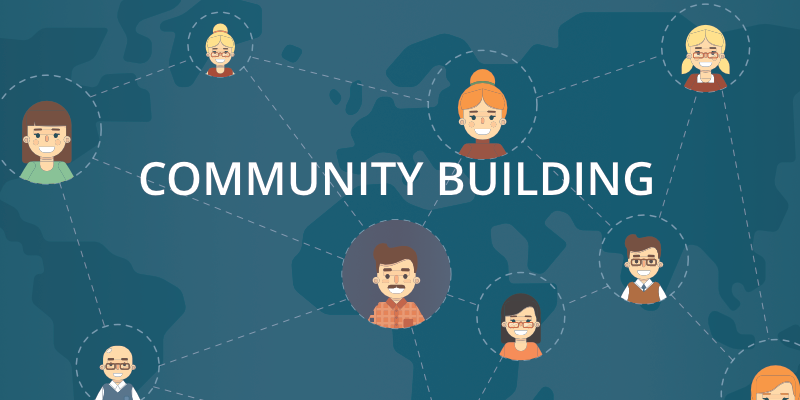 You should think deeply about how you are going to create a community of your customers. The more you communicate with clients, the better the chance that they will become loyal and improve your client retention rate. The higher the ratings are for your app, the healthier the chance of it being downloaded. That’s why it’s important to ask your happiest customers to leave reviews – you can do this by email, asking them in person or by automating the process within your app. Make sure to ask for their contact information at the end of your app narrative or use a software development kit such as Appsfire to allow users to send feedback through a notification inbox. By asking for their contact details you can then contact unhappy customers to resolve their issues and request them to leave a new rating on the app store if they were pleased. Converting unhappy customers to happy ones will develop your ratings positively. Creating a great app is half of the app retention cycle; reminding customers why your app improves their life is the other. On one hand, you should strive to develop new modes of user commitment, including exclusive content, perks, rewards, and an enhanced UX. 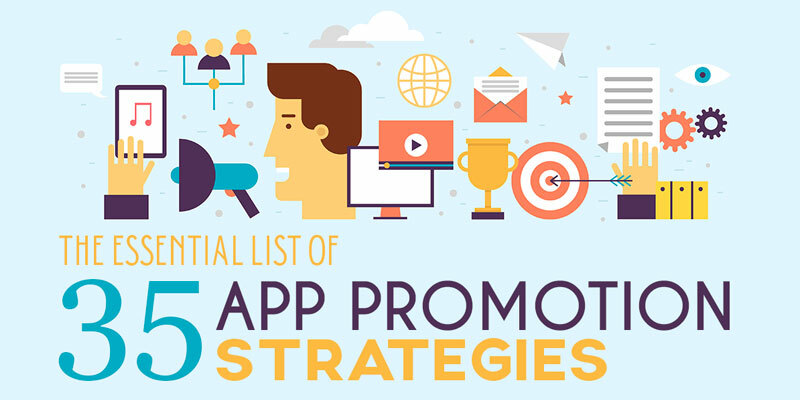 On the other hand, you must constantly promote your app and flaunt new offers or features. When you successfully acquire a significant customer base, you should think about retaining these customers through unique promotions. With regular reminders and offers you can keep your app and your brand at the forefront of your customer’s mind by using Push Notifications – a simple and subtle message to nudge customers back to using your app. When you first launched your App where there a backlog of features that weren’t released with the first version? Don’t worry! Keep the next version lean as well and ensure the best of the best is for the next version. It is often recommended that you don’t pack in all your awesome features at once as the excitement often fades away after the app has been used multiple times. Your app should evolve in such a way that with every month, season or year it always has something new and exciting to offer to the user. An app that progresses over time will boost sales with every new version and can be shared through another press release. That is why you should aim at upgrading your application frequently. This is because your users need to remain excited about new updates and it would ensure they don’t get bored and replace or delete the app! This ritual of frequently updating your app acts as a brilliant motivator and it also captures the app users’ attention to look forward to timely and interesting updates. This may be a little difficult to do but you never know who you know! However, getting hold of well-known personalities and celebrities can help to build trust amongst your users. They will be convinced that your app is nothing but the best as celebrities are also using it. When a celebrity endorses your app, it will not only attract new fans but will also add value to your brand. Let’s take the case of Nike. When Nike joined hands with Ellie Goulding to promote one of their Nike Training Club apps it was an instant hit! Nike “Music Runs Ellie” from Paul Minor on Vimeo. If you’re not fortunate to know the likes of award-winning artists and celebrities, could you work with a local band, sports personality or community figure? You might have to think outside the box, but this might not be as impossible as it first seems. Because mobile Apps are changing the way modern shoppers complete day-to-day tasks, physical loyalty cards are disappearing fast. Moreover, mobile users are now expecting most companies to offer mobile loyalty solutions, especially if they are a retail of food outlet. Therefore, for brands, it’s becoming more and more important to be a part of that process. Creating your app to be your brand’s loyalty card is an amazing tactic that functions effectively for promoting your app as well as retaining users. Now, when a loyal customer visits your store or purchases a service or product from you online, they can conveniently bring up your mobile loyalty card or special app-only offers and discounts. Customers are happy to know that they don’t need to bring their loyalty card whenever they visit you. The above-mentioned strategies to promote your app are long-term approaches to gain and retain users. They key to use them correctly is not to deploy them altogether. Each of these approaches must be explored independently and in accordance with your target audience. Some may be more relevant than others, but the idea is that there is not one fast and easy strategy to a successful campaign. Trial and error is often the secret to success in many cases. The idea is that there is no one fast and easy strategy to a successful campaign. Trial and error is often the secret to success in many cases. Also, note that the success of your mobile application does not rely on the number of downloads, screen view and active users. The real indicators of app success are evident from app user engagement as it tells you how your app is helping users in solving their problem. User experience is extremely important when first developing your app, ensure your app has an intuitive user interface that users find easy to get familiar with. If you are developing the app yourself, brush up on the iOS and Android Human Interface guidelines. If you are hiring a team of app developers, make sure you look at other apps they have developed so you get a feel for their work. Remember every app is different and so every goal will differ too. Before you start working on your own App Promotion Strategy, spend time mapping out what success looks like to you.